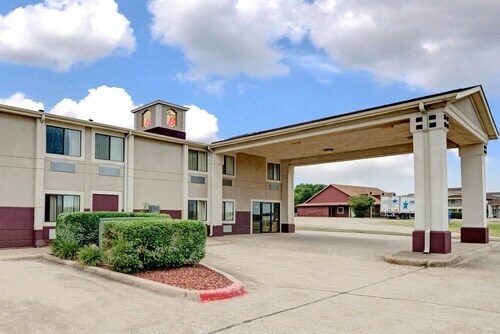 Situated in Waxahachie, this motel is 13.5 mi (21.7 km) from Texas Motorplex and within 25 mi (40 km) of Dallas Zoo and Bishop Arts District. Bluebonnet Park and Hawaiian Falls Mansfield are also within 25 mi (40 km). 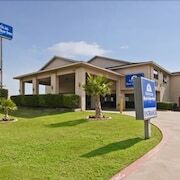 Situated in Midlothian, this hotel is within 12 mi (20 km) of Hawaiian Falls Mansfield, Mansfield National Golf Club, and Ellis County Courthouse. Mosaic Madness and Ellis County Museum are also within 12 mi (20 km). 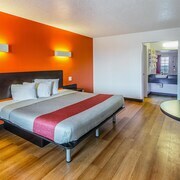 Situated in Red Oak, this hotel is within 16 mi (25 km) of Methodist Charlton Medical Center, Bishop Arts District, and Texas Theatre. Dallas Zoo and Reunion Tower are also within 20 mi (32 km). 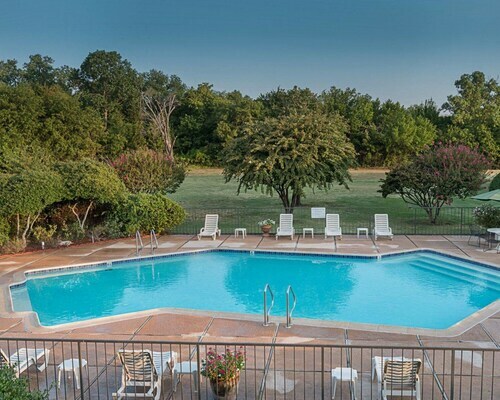 Situated in the suburbs, this motel is within 9 mi (15 km) of Hawaiian Falls Mansfield, Mansfield National Golf Club, and Cedar Hill Shopping District. Hillside Village and Tangle Ridge Golf Club are also within 12 mi (20 km). 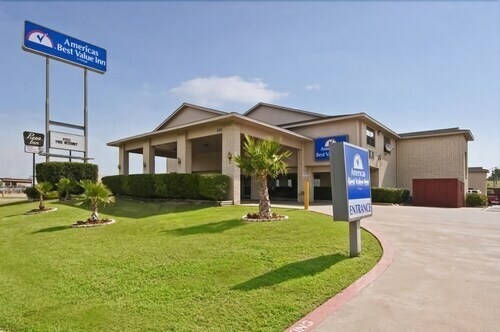 Situated in the business district, this hotel is within 1 mi (2 km) of Ennis Railroad and Cultural Heritage Museum and Bluebonnet Park. Ennis Public Theatre is 2 mi (3.3 km) away. 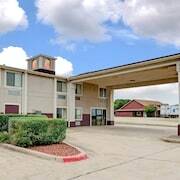 Situated in Waxahachie, this motel is 13.4 mi (21.6 km) from Texas Motorplex and within 25 mi (40 km) of Dallas Zoo and Bishop Arts District. Bluebonnet Park and Hawaiian Falls Mansfield are also within 25 mi (40 km). 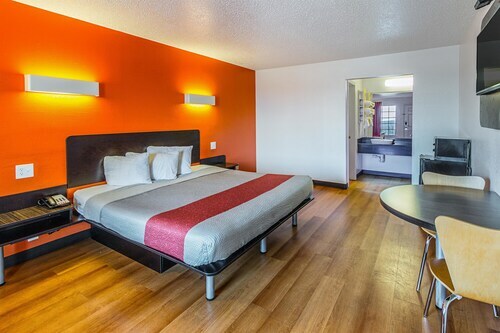 How Much is a Hotel Room in Waxahachie? 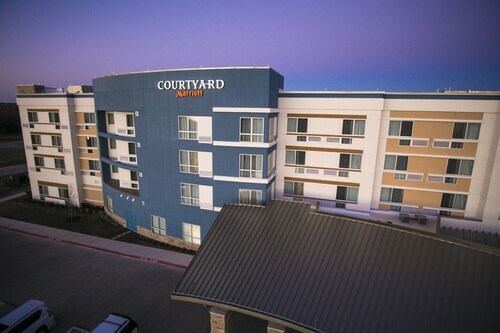 Hotels in Waxahachie start at $46 per night. Prices and availability subject to change. Additional terms may apply. Waxahachie, Texas, a historic city about 30 miles south of Dallas, is known as "The Gingerbread City" for its ornate Victorian houses. Adding to its picturesque charm are hundreds of crape myrtle trees, which reveal their full glory in flourishes of pink blooms in summer. 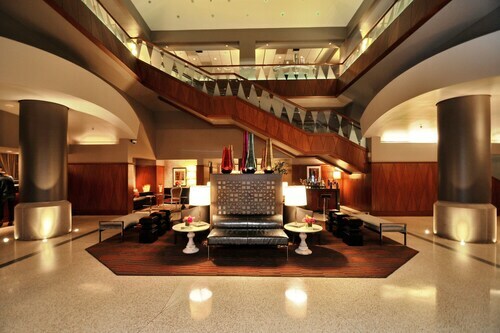 A historic downtown, interesting cultural venues, and natural beauty further add to the appeal of Waxahachie hotels. 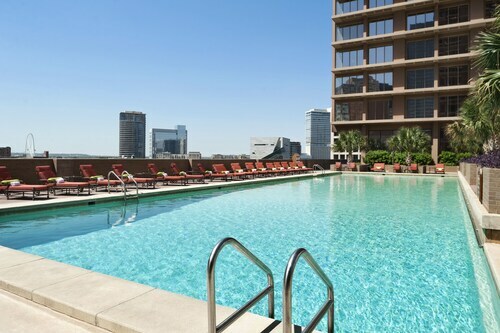 You have a number of convenient transportation options for the approximately 35-mile journey from Dallas Love Field Airport to hotels in Waxahachie TX. The airport is served by three private shuttle companies and nine limousine companies, whose services you should arrange in advance. You can also grab a cab by crossing the street from the baggage claim area on the lower level of the terminal. Most visitors enjoy the convenience of Waxahachie car rentals. You could drive to Lake Waxahachie, two miles south of the city, and go boating, fishing, or jet skiing. On weekends in April and May, head to the nearby Scarborough Renaissance Festival to experience the fun and festivities of the 16th century. Learn about local history at the Ellis County Museum, where, in addition to interesting exhibits, you can pick up historic walking and driving tour maps. Explore Waxahachie's Historic Downtown District, which features many boutiques and antiques stores, a farmers market on Saturdays, and the Ellis County Courthouse, a beautiful Romanesque landmark built in 1895. See the works of local artists at the Ellis County Art Museum, or visit the Webb Gallery, which is open on weekends. On a sunny day, take a walk along the Waxahachie Creek Hike and Bike Trail, a four-mile path that will take you through woodlands, parks, a historic cemetery, and along the historic Rogers Street Bridge. If you booked one of the cheap hotels in Dallas for a family vacation, take the kids to Waxahachie's water park and paint ball venue, a fun attraction for all ages. 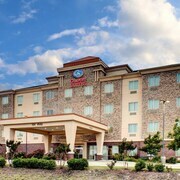 Download the Travelocity app to access our mobile exclusive deals on motels in Waxahachie TX and much more. Clean and comfortable. Stained towels, breakfast could improve. 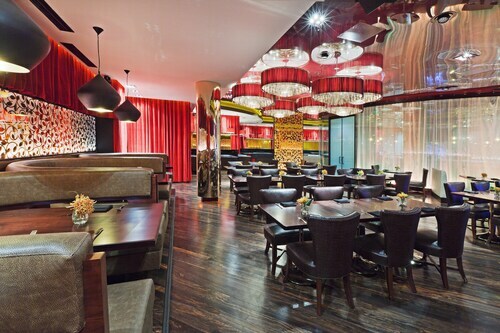 The hotel is beautiful, staff is very friendly and helpful and the rooms are clean and comfortable. Location was excellent. Valet parking was efficient and quick. Hotel had character and was lovely. Noisy street racing and sirens were disturbing through the nights.